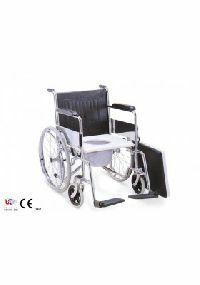 Ultra light weight aluminum alloy frame commode chair. 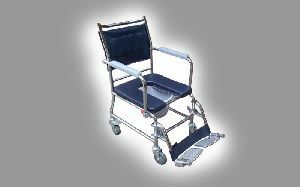 Foldable design for easy storage and carrying. 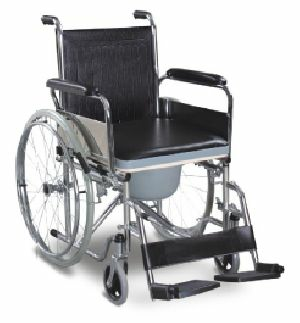 Back and seat made of high-density ABS plastic for easy cleaning and sturdiness. 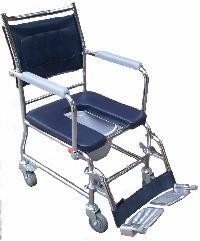 Height adjustable legs Epoxy powder coated. 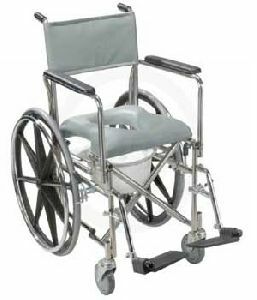 Folding wheelchair with fixed arm & footrest, Chrome plated steel frame with built in commode function, Max load bearing: 100 kgs(approx). 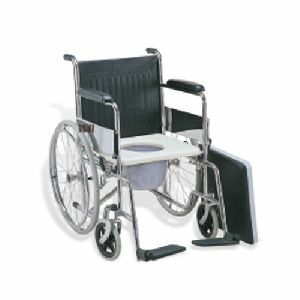 We offer non folding wheelchair, folding wheelchair, commode wheelchair. 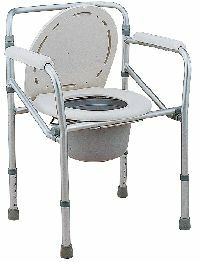 Commode Chair With Fiber Seat and Handle.Rehabilitation means again making fit. 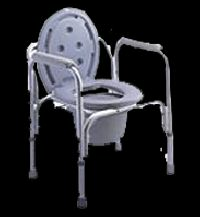 We believe in working with full honesty, integrity and sincerity. 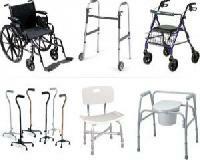 We follow professional and ethical business practices. 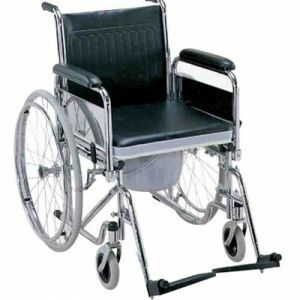 Steel Commode Wheelchairs are made with Stainless Steel Materials which will not rust with the use of Water. 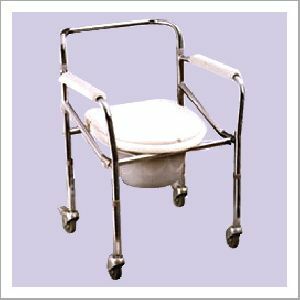 Commode wheelchairs can be used for toilet purpose of senior citizens and physically challenged people. 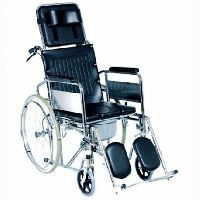 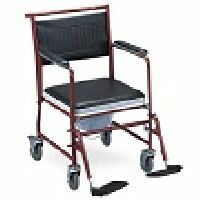 Commode wheelchair Chrome Plated Steel Finish.Convertible from wheelchair to commode chair, Removable Cushioned Seat and Armrest.Foldable and removable Footrest, Dual Brakes parking Brakes. 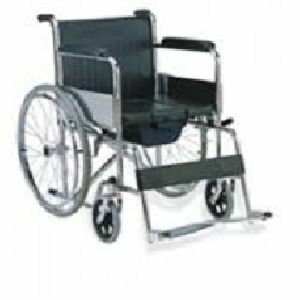 A wheelchair is exactly what the name indicates – a chair on wheels. 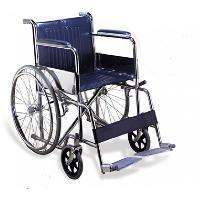 It is used by people that find walking difficult or impossible. 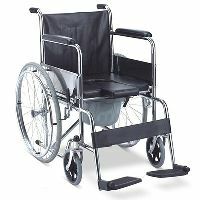 It comes in several variants ranging from being propelled by a person turning the back wheel to use of electric motors to do so. 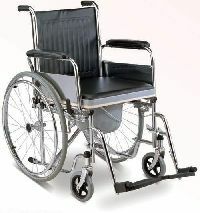 Product Feature Chrome platted steel Frame. 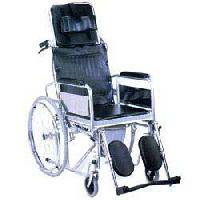 Height adjustable. 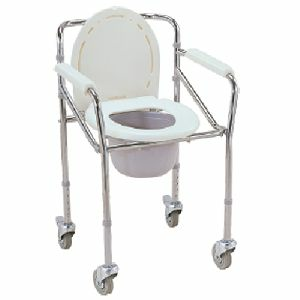 Rear castors with locks. 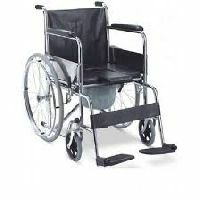 Foldable. 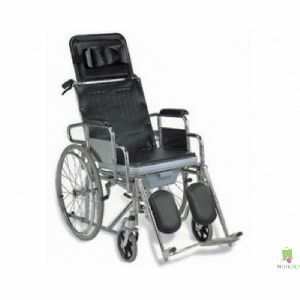 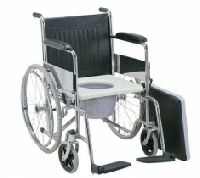 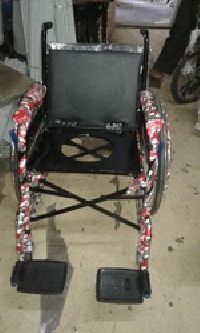 We are offering best commode wheelchairs supplying company. 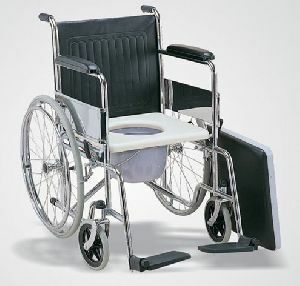 A growing number of our customers were demanding a solution where a commode and wheelchair are combined so as to save on storage space and for other ergonomic reasons. 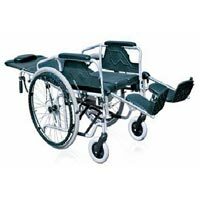 Our XENIA HD series wheelchairs bridges the gap between a fully functional heavy duty wheelchair, replete with features, and a portable commode. 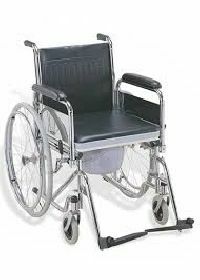 Foldable chromed steel frame. 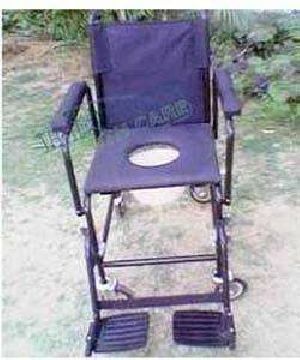 • Fixed arm rest & foot rest. 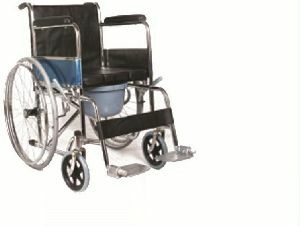 • Solid rear wheel 24* & 8* front wheel • Seat width 44cms & overall 63cms • Plastic commode seat. 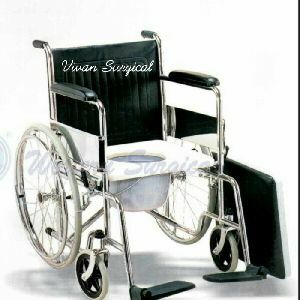 In order to make available high quality product range, we make use of the finest grade raw material that is sourced from the trusted places after complete assurance of the quality. 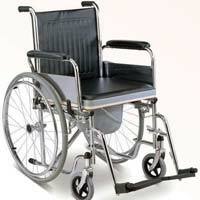 To ensure utmost satisfaction of the buyers, we make sure that the delivery schedule should be properly maintained.